How to set my password? In some cases, the auto-email would be sent to the spam mail box. Please check. 5) Then press log in. Where to download open textbooks? 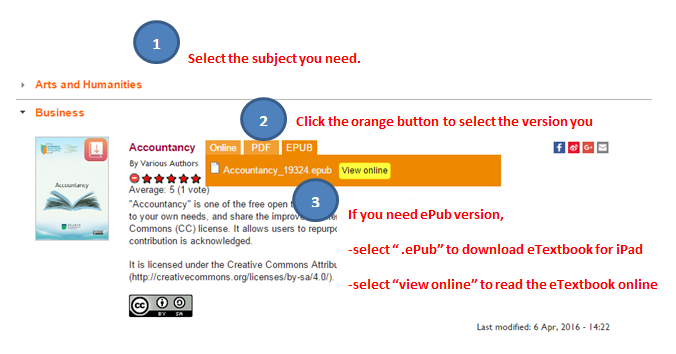 4) Follow the instructions to download the open textbooks you need. Can I download open textbooks without becoming a member? Most of our books are available for members only. Therefore, we encourage you to sign up as a member to download the open textbooks. How to confirm that I am a teacher of Hong Kong primary / secondary school? In order for us to confirm you are a teacher of a Hong Kong local school, we will contact you through your school ASAP once we got your registration information. After confirmation, we will grant teacher’s access right to you. You will then be able to download the whole series of Open English (Student’s books). The whole administrative process will take 3-7 working days; depend on the number of registrations we receive. In the meantime, you can access the sample units. Teachers / Tutors from tutorial centers, language schools or schools from other regions are not applicable. 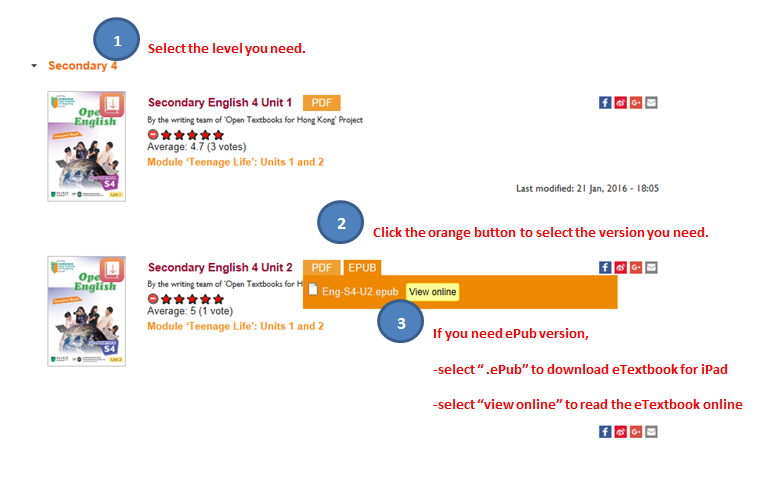 How to download Open English? What kind of device should I use to read the e-version of Open English? PDF PC, iPad (via iBook app), Android tablets After you have downloaded the PDF, it can be used offline. ePub iPad (via iBook app) After you have downloaded the ePub, it can be used offline. ePub (View online) PC, iPad (via Safari), Android tablets Must be used online. How to obtain hardcopies of Open English? A. I want to print the whole book / print some pages for own use. How to do it? Please download the PDF version of the book you need, then print the whole book or the selected pages. You need software, such as Adobe Reader to open the PDF files, and of course, a printer to print the book. B. What should I do to print the books for my students? How to obtain teacher’s book / teacher’s edition of Open English? If you school decided to adopt Open English for lessons, please submit the adoption details to us by filling in a request. We will contact you ASAP to arrange for the access to the teaching resources via your account. Would you provide training to us? We organize seminars for schools regularly in order to promote the use of open textbooks for eLearning, self-access learning and learner diversity. We can also arrange on-site training workshops for schools. Please contact us for arrangements. What kind of device should I use to read the e-version of open textbooks? Online PC, iPad (via iBook app), Android tablets Must be used online. How to obtain hardcopies of open textbooks? Please feel free to contact us if your questions have not been addressed here. We will contact you by email ASAP.